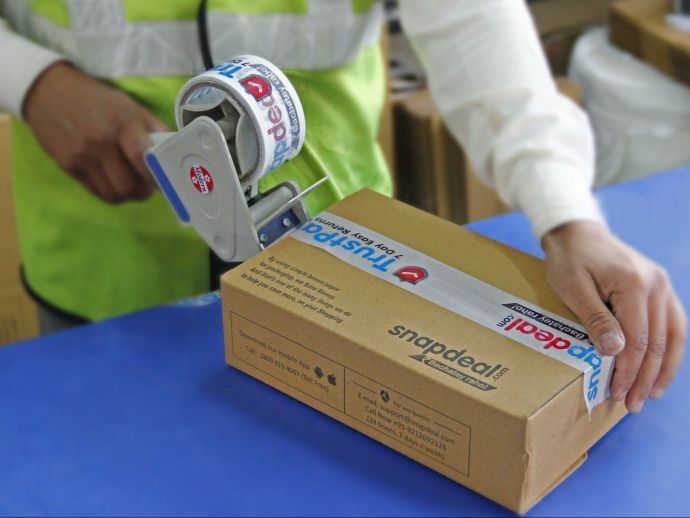 Now Order CASH On Snapdeal Using Just Your Credit/Debit Cards! In this cash crunch economy, when we have to go through the inconvenience of standing in long ATM queues to withdraw our cash; Snapdeal appears to have come to our rescue with a stupendous idea. Snapdeal, in a genius move, announced ‘Cash@Home’ concept on their online platform. The timing of this move cannot be any better given the current circumstances. Under this offer, customers can order cash for a maximum amount of Rs 2000 and the money for this transaction can be paid online through debit cards and credit cards. Once an order is placed, the courier person will come along with PoS machines through which users would be able to swipe cards of any banks. This machine will generate cash up to Rs 2000 and will be handed over to the customer according to their requirements. Moreover, Snapdeal claims this as a gesture of goodwill and will charge only Rs 1 as convenience fee for this transaction. This service is activated only in Gurgaon and Bangalore and will be spread all around the country, provided the feedback is as expected. This move can be a game changer for those of us who are tired of standing in long queues every day. Bravo Snapdeal!